by Tom Hansell, After Coal director. I recently travelled to the Carpathian mountains of Romania to present the After Coal project at a conference titled Appalachians/Carpathians: Researching, Documenting, and Preserving Highland Traditions. Like many Americans, I knew little about the Carpathian mountains, the range that stretches across Central Europe, including parts of the Czech Republic, Slovakia, Poland, Hungary, Ukraine, and most of Romania. At the conference, biologist John Akeroyd from the Adept foundation described the region as “the last of old world Europe” and a hotbed of biodiversity. 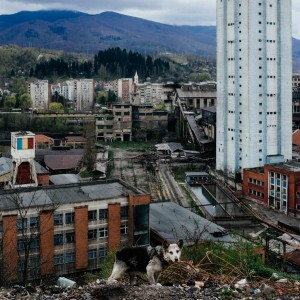 The fact that Romania was part of the Soviet controlled Eastern Bloc until their 1989 revolution means that many rural areas are not developed. Horse drawn carts and handmade haystacks are still a common sight in the countryside. However, the Soviets also built immense industrial centers in parts of Romania. The Jiu valley is a coal-mining region on the edge of the Carpathians. Under Soviet control, the largest mine employed tens of thousands of workers. 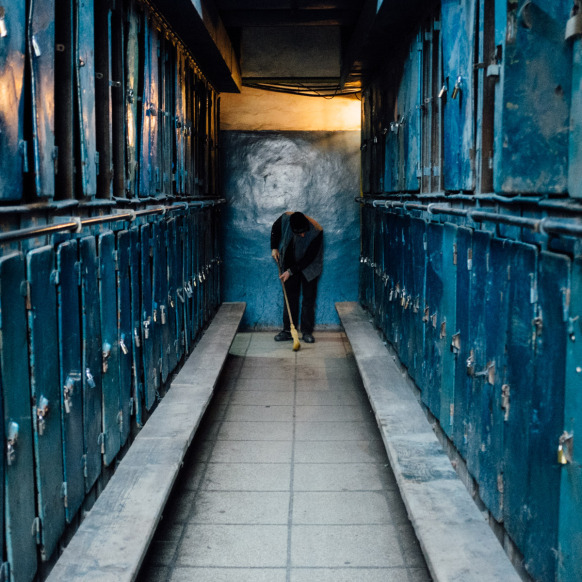 After the revolution, the mines were privatized and workers lost their jobs. Declining coal markets and international competition mean that the last mine in the Jiu Valley closed in October of 2015. 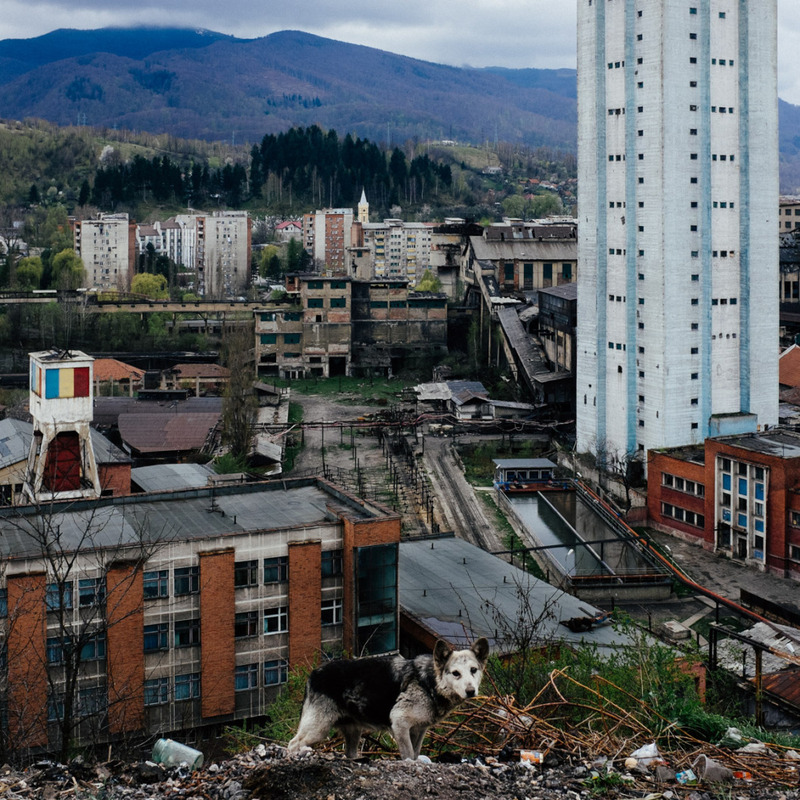 At the Appalachians/Carpathians conference I presented After Coal along side Romanian photographer Gabriel Amza, who has spent years documenting the Jiu Valley for a project he calls Genius Loci – or spirit of place. Genius Loci is beautifully haunting work that captures the despair and abandonment that many mining communities feel, without resorting to stereotypes. “I think coal is dirty. But, coal is an important part of our recent history. And the reason projects such as Genius Loci and After Coal are important is that just because coal is dirty reality, it shouldn’t be forgotten. We need to remember where these communities started. It’s not always a pretty beginning, but it’s a necessary part of the story. As Gabriel and I discussed the situation in the Jiu Valley, we agreed that the outlook in Romania’s Jiu Valley is bleak when compared to central Appalachia or South Wales. Although Romania’s economy has improved since joining the European Union, the national economy is much weaker than the US or UK, and fewer resources are available to reclaim mines, retrain workers, or regenerate coalfield communities. The cycle of deindustrialization has hit the Jiu Valley much later than Wales or Appalachia. By discussing similarities and differences among coal mining regions in Appalachia, Wales, and Romania, this kind of international exchange can help provide people in each region valuable insight. Opening up a dialogue between coalfield residents can inspire communities to create their own solutions for a future after coal. ← Catch a Work in Progress Screening this Fall!